When explaining the origin of the Nunchaku, a well-known Japanese martial arts weapon, we need to follow different historical paths and a thorough research of ancient Japanese tales. With their help, we can follow the facts that will reveal the real story behind its creation. Although known today as a weapon used in martial arts, its original form was developed in China as an agricultural tool made out of two connected sticks shaped like a wheat, rice or soy flail, the Nunchaku was later also used in different parts of the world, such as Japan, Russia, Korea and India. A number of facts dating from different historical periods go backed up its country of origin (China). It was believed that the first emperor of the Chinese Sung dynasty, Jiu Hong Jun, lost a battle to a Mongolian conqueror in the mid 10th century. In order to recuperate from such a big defeat, the emperor had to retrieve and leave with his army towards the Chinese mainland territory where he situated in the vicinity of a nearby village. There, the villagers fed them and cared for them, Emperor Jiu thought that it was the duty of his soldiers to help the peasants in various agricultural tasks that required much labor. Among these duties were growing wheat, rice, soy and other crops. The Emperor regularly visited his soldiers and making sure they were indeed doing the work they were assigned. At one point, he observed that the villagers use a tool to help harvest wheat and rice which was made out of two sticks of different length tied together with a rope made out of rice hay and intertwined with horse hair. Since he was a great warrior, emperor Jiu came to the conclusion that this tool could help him fight the Mongolians and that its use would help him train his infantry. He proceeded to borrow a flail (the Nunchaku) from a villager, emperor Jiu settled in his tent and, in the next couple of days, came up with and developed specific techniques which his infantry later practiced during combat, using it as a weapon against cavalry. Emperor Jiu successfully developed 18 techniques of usage and called the tool (now, a weapon) dai-so-dji (translates to ‘great cleaners’ ). According to old tales, emperor Jiu trained his army in handling these weapons for a few months together with his generals. Emperor Jiu then commanded his army to use their knowledge in a battle at the town of Buk Sung for the first time. The Mongolian army was successfully defeated in that battle and banished from the Chinese territory. During the battle, the flail's sticks were broken into two and so they became of the nearly same length. It was noted by a general of Jiu's army and, based on that, later invented a new combination of movements handling a shorter flail. The technique was called stuso- dji (little cleaners). 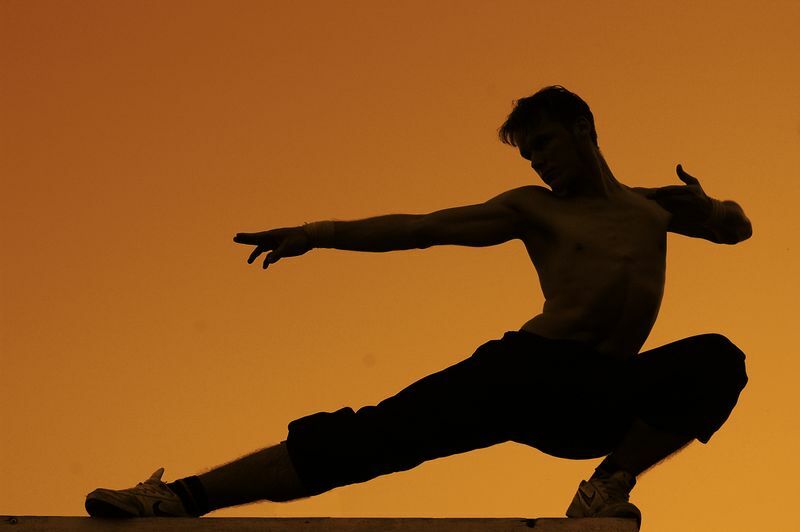 According to Chinese legends, the techniques developed are identical with the current usage of The Nunchaku. In some parts of China, the Nunchaku is also called shuang chin kun which, in free translation, means “a two- part flail“. 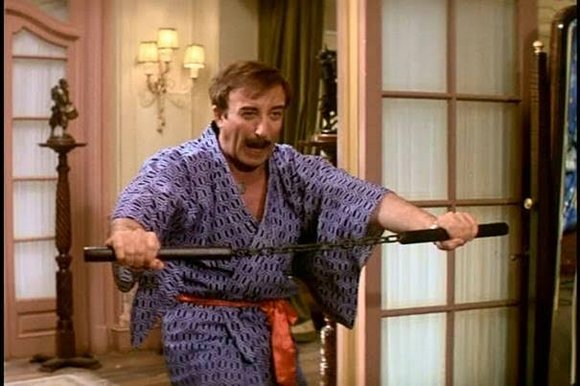 However, in some regions, for example, in Fujian, the Nunchaku are called nng-chat-kun, which roughly translated as “a pair of connected sticks“. In the southern regions of China as well as in some parts of Japan, the Nunchaku are also called shuang jie gun or iang jie gun. According to some stories, the defensive skills of using the Nunchaku were later transmitted from China to other neighboring countries such as Japan, Korea, India, Mongolia, and The Philippines. According to these legends, handling the flail (the Nunchaku) as a means of self- defense was brought to Japan by various Chinese masters and priests upon their arrival in the 14th and 15th century. Some historians believe that the spread of the knowledge of handling the Nunchaku can be attributed to the Chinese general Chan (Chan Yuan Bin) who was excellent in the practice of martial arts. He fled from China around in 1640 because of the prosecution of the Manchu dynasty and took shelter on Okinawa (and after in Bushio Edo– today's Tokyo). 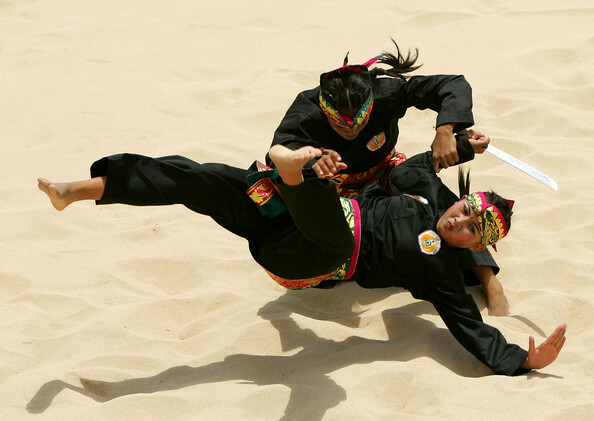 General Chan also spread the skill of fighting without tools or weapons, which is today widely known as jiu-jitsu. Some stories stated that the usage of Nunchaku during fights or battles first became a common tool- weapon among some noblemen and later on, among peasants. They even used it as a means of self-defense against various attackers and Japanese invaders who arrived at their areas (the Ryukyu archipelago). In 1507, king Sho Hashi also signed a proclamation that prohibited citizens from carrying weapons and allowed its requisition. The proclamation prohibited owning weapons to everyone who wasn't in the king's service and the weapon was kept in the castle's storages. Also, the Japanese invasion led by Bushi Satsume in the 17th century brought forward the usage of the Nunchaku into that particular area. Another argument that supports the thesis that the Nunchaku were transmitted to Japan from China is visible in the Japanese name, the word “the Nunchaku“, which, in free translation from Chinese, can be divided into three words: “nun“ which means “a pair“ or, even better, “twins“ and the words “cha ku“ which can be translated as “connected sticks“. However, the Nunchaku are known by a variety of different names. Some examples are: Nuchiku, Nunchuks, chain sticks, Chako, Chuka sticks, karate sticks as well as in many other less known terms. The first Japanese Nunchaku was actually octagonal and later the locals would make Nunchaku in different shapes. Some of the oldest copies of Nunchaku sticks were made out of exotic hard wood connected with a rope manufactured out of rice hay and horse hair. Some of them had edges shackled with tin or iron. Different martial arts experts agree with the thesis that the art of handling the Nunchaku was especially cherished and trained in Japan, in the town of Shuri (known today as Shurijo Castle) on Okinawa. Also, the art of Nunchaku is connected with the basic style of karate, shuri- te, that was also founded in this region. Furthermore, it is believed that knowledge about the Nunchaku became widespread across Japan thanks to the master of karate, Gichin Funakoshi (1868-1957), who created the shotokan style and who was born in the town of Shuri. This is how he came into contact with the Nunchaku when he was a child. In comparison to the Japanese version, the Chinese version is more rounded and shorter (are approximately 30 cm long. Although both Chinese and Japanese versions come in various lengths, the Japanese versions are usually octagonal and are approximately 40 cm long. Various martial arts masters would often accommodate the length of the sticks (the Nunchaku) to their needs and affinities. Regardless of its shape or length, it is typically connected with a rope or a thin chain. In recent years, the Nunchaku (sticks) are connected with a nylon rope or a thin chain that is around 20 cm long in China or around 10 cm long in Japan. However, since different masters would adapt the length of the rope or the chain to their own needs according to their figure or technique, this ‘rule is not strict. The basic technique of handling this weapon is based on a centrifugal force which is created by swinging one handle. By doing so, the speed by which the other arm is moving can mount up to 160 km/h. The force created by hitting the stick can reach up to 800 kg! Today, the Nunchaku is usually made out of harder wood such as oak or ebony and are linked with a nylon rope or a thin chain. It can be made out of other different materials such as metal, hard rubber, plastic or fiberglass. There are also so-called ‘soft Nunchaku’ which are very flexible because they are made out of rubber combined with a harder sponge and are usually used in training. It is good to note that although the Nunchaku has been long known as a weapon, the karate master and the creator of the Kobudo, an Okinawan martial arts, Shinken Taira (1897- 1970), is especially acknowledged for the preservation of the traditional usage of the tool. He was a longtime president of the International Karate Kobudo Federation. In 1960, master Taira designed one of the first known Nunchaku katas called maezato no nunchaku kata or, more commonly, Taira no nunchaku. However, you probably already know that the Nunchaku did not reach its peak popularity across the world until the end of the 60's and 70's. Its rise to ‘fame’ was thanks to two great martial arts masters, Dan Inosanto and Bruce Lee (1940- 1973). Master Inosanto mastered the technique of the tabak- toyok (chako) skill which is similar to the techniques used with the Chinese Nunchaku. Master Inosanto was one who acquainted his friend (the creator of the Jeet Kune Do ), the famous martial arts master and actor, Bruce Lee with the tabak- toyok skill. 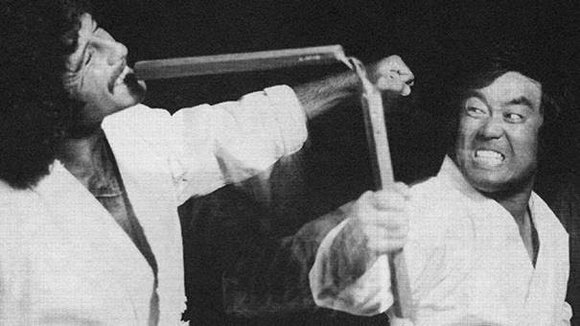 Master Lee became the first person who demonstrated the art of ‘handling’ the Nunchaku to the public. He started demonstrating it at the end of 1966 in his movies – including one of his most famous, Enter The Dragon. Thanks to this exposure, it became widely distributed and in the 70's, its popularity reached massive proportions. Its vast popularity, usually coupled with the desire to copy the skills of master Bruce Lee, caused many countries to ban wearing, using and selling the Nunchaku in 1974. This prohibition was valid in almost all countries in Europe, in Japan, in some states of the United States, in some parts of Australia as well as some other parts of the world. 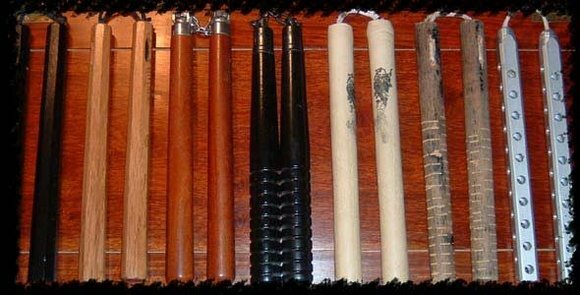 Carrying and using the Nunchaku sticks in public places was, according to the law, equal to the usage of firearms. Although that law wasn't abolished in any of those countries, it has been greatly lessened and mitigated from the beginning of the 90's. Some strange and bizarre facts can also be linked to the history and popularity of the Nunchaku. For example, since the mid- 70's and the beginning of the 21st century, the biggest number of Nunchaku was sold in Hong Kong. This piece of information wouldn't be so strange if it wasn’t for the fact that the use, the purchase, and the selling of this weapon in Hong Kong was strictly prohibited. 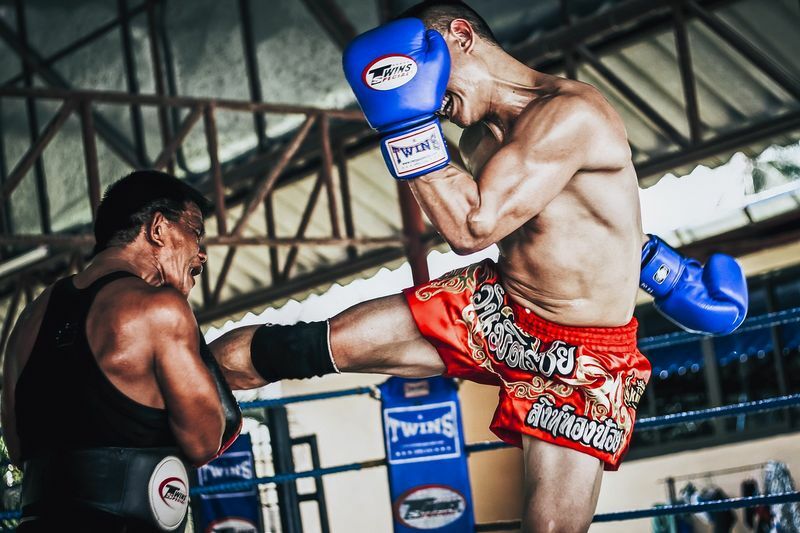 Today, the usage of the Nunchaku as a weapon is utilized in many different styles of martial arts such as karate, taekwondo, aikido, and even Eskrima, a Filipino martial arts discipline. Interested in learning how to utilize the Nunchaku in your martial arts practice? 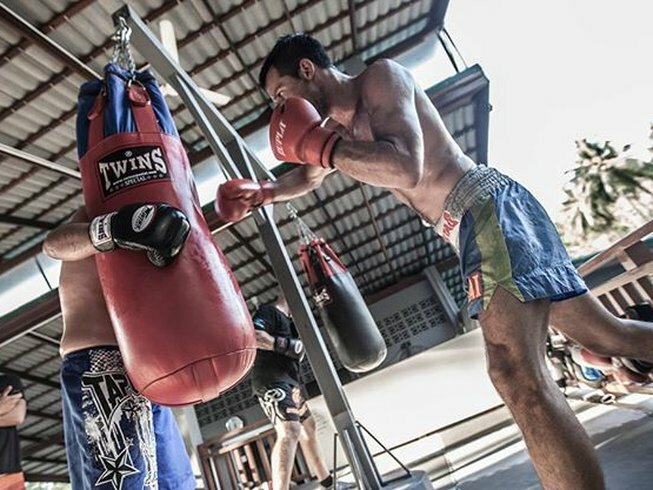 Be sure to check out BookMartialArts.com’s vast selection of martial arts training in Asia!